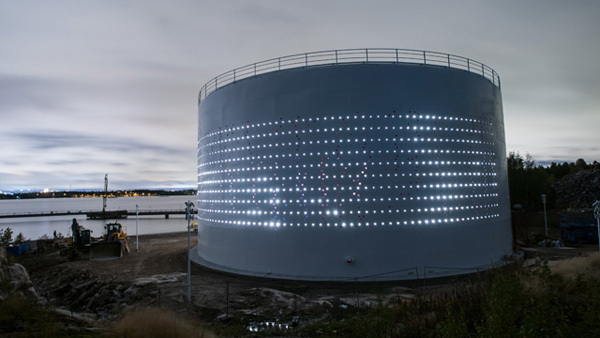 A conversion of an abandoned oil silo in Helsinki, Finland into a civic space and light display inspired by the prevailing winds and the movement of birds in flight. 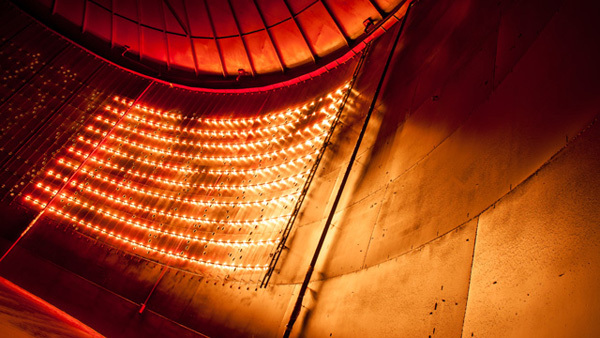 The art piece will convert a disused oil silo into a wondrous light display and a civic space. Public will gain access to the vast interior of the 36 meter diameter 17 meter tall steel silo which will be dark red inside. Sunlight will fill the space with dappled shadows creating a spectacular daytime space. 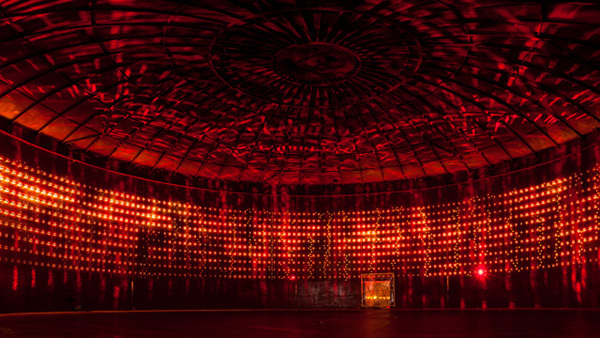 At night 1,250 white LEDs flicker and sway on the surface of the silo controlled by a bespoke software mimicking swarms of birds in flight—a reference to the silo´s seaside location. The prevailing winds, well known to those living in Helsinki, are used to trigger different light patterns in real time.